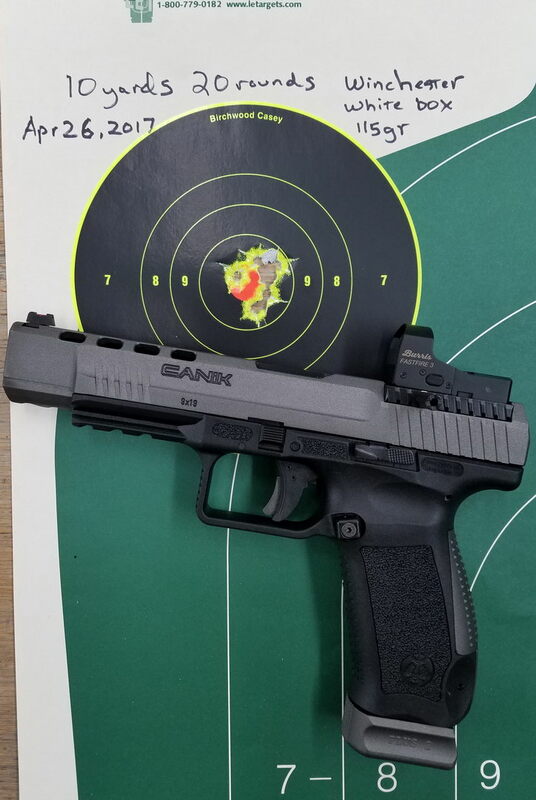 Canik Fanatik Forum member review of the TP9 SFx with reflex sight. 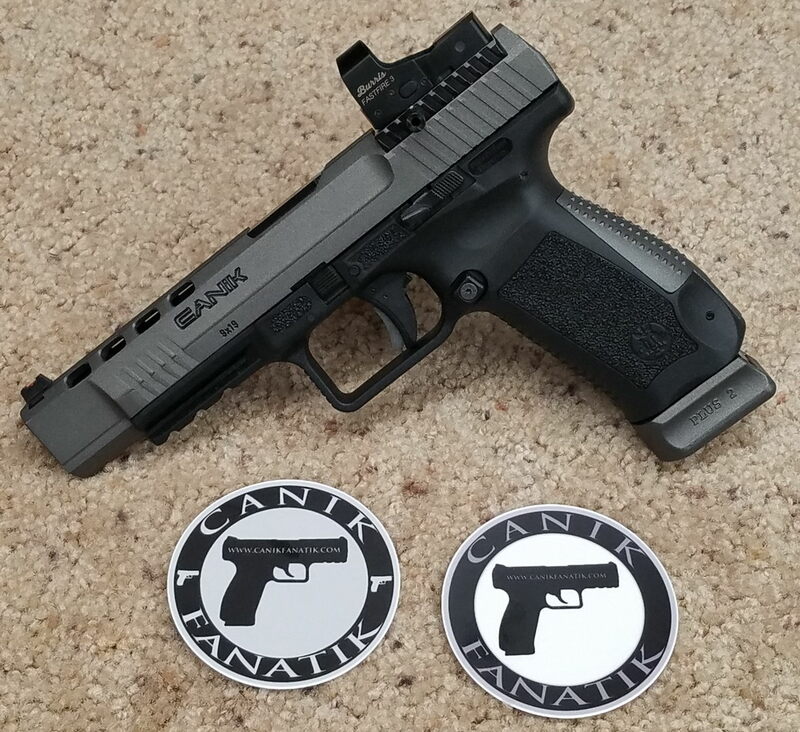 I recently picked up this Canik TP9SFX, and also bought a Burris Fastfire 3 reflex sight with an 8 MOA dot. This is both my first striker-fired pistol, and my first pistol with a reflex sight. 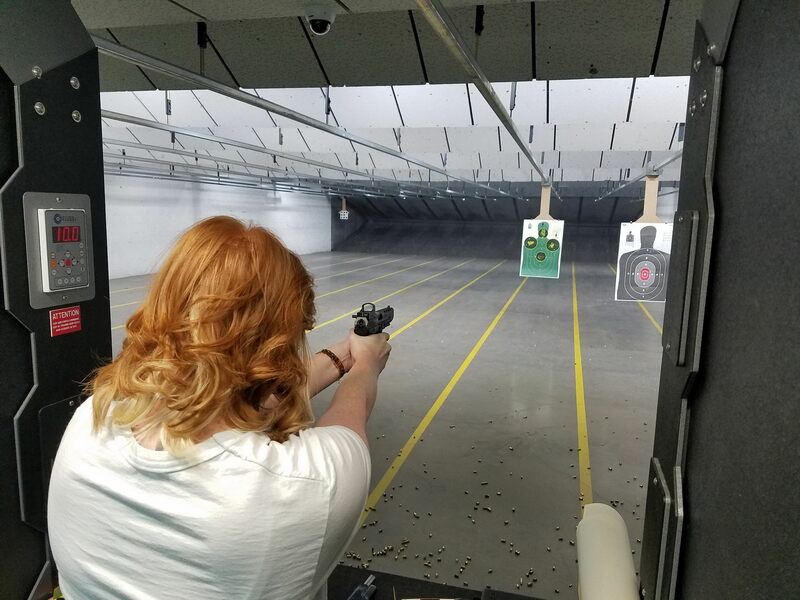 So of course, I wanted to go the range and try it out. But before I could go, I needed to strip and clean the pistol, and mount the new sight. About me: I have been around pistols and rifles my entire life (46 years so far), but not in a competitive way. Though my dad was an avid amateur competitor in slow-fire and rapid-fire pistol target shooting when he was younger, he did not compete when I knew him. I have yet to enter any kind of shooting competition. All of my experience has been of the purely “shooting-for-fun” variety, without structured practice or training. The first time I tried to field strip this pistol, the slide got hung up as I attempted to push it forwards. This happened a few times, and I had an experienced Canik reseller (and my local FFL) attempt to take the slide off to no avail. Rather than fret over it, I took the pistol home and prepared to work patiently to get the slide off. Pull the slide back slightly, pull the two take-down buttons down towards the trigger, pull the trigger, and push the slide forwards. At home, it worked the first time, and every time since. Strange. The inside was a bit grungy, especially the barrel, with black stuff coming off on a cleaning cloth. The assembly was not dry, but there didn’t seem to be much lubrication. I cleaned everything up as I usually do after a shooting day, and also oiled as usual. The next step was to install the reflex sight. 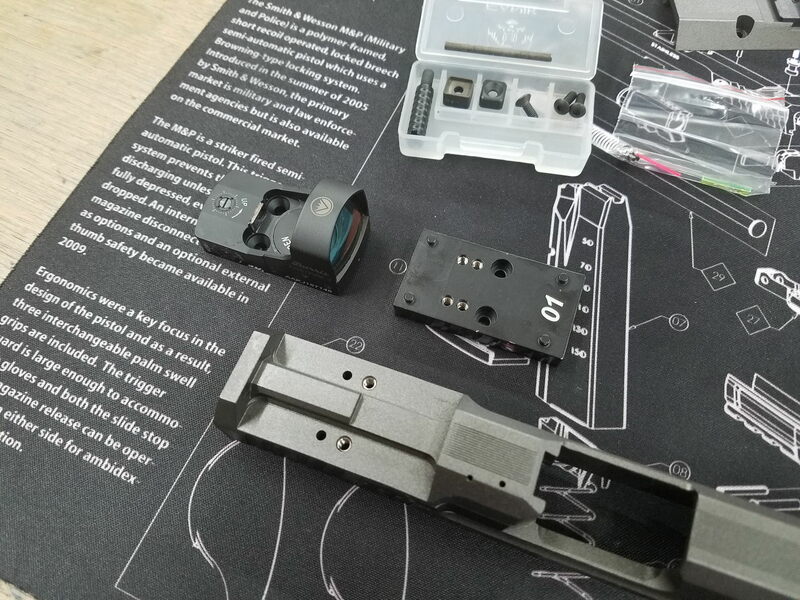 Remove the two top screws, and then use the two through holes in the slide and a 3/32” punch to pop the sight block off of the slide. The punch is pointing to one of the through holes. The Burris Fastfire 3 fits to the “01” sight plate. You do have to use the screws that came with the Canik, and not the screws that come with the Burris, as they are different pitch threads. I may replace the Canik mounting screws with some other screws, because the Canik screws are button heads, while the Burris sight is machined for countersink screws. 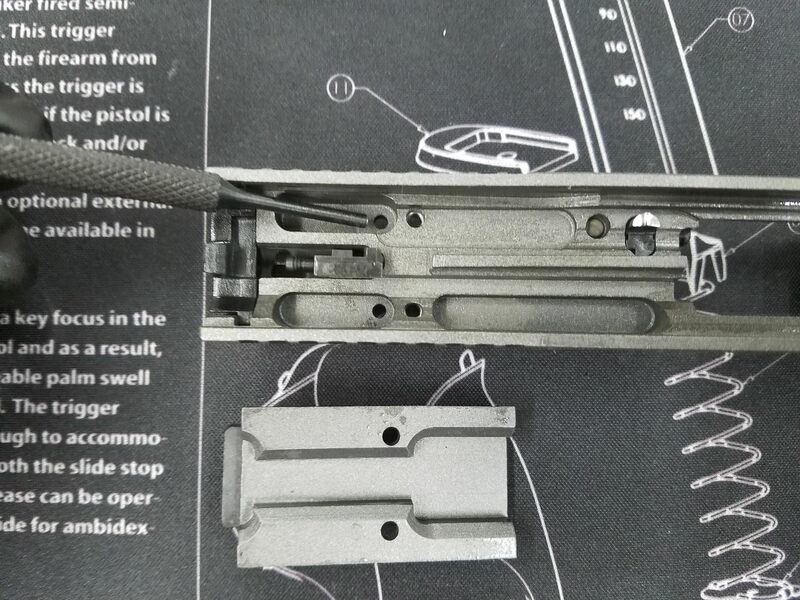 The button heads fit nicely in the countersinks on the sight, but there is only a line contact between the outer edge of the button head and the countersink bore. The screws may therefore tend to loosen up over time. I did apply some Loctite 242 “blue” threadlocker to all of the screws. 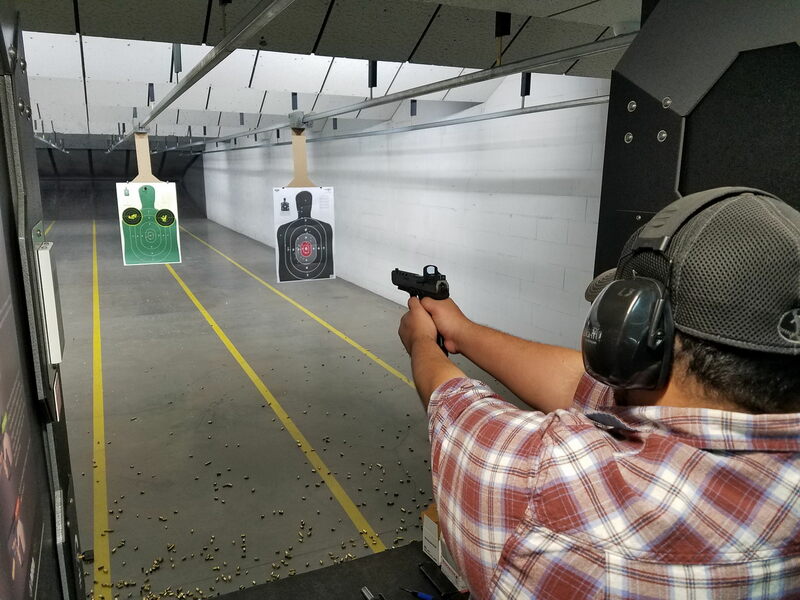 My local indoor range is the Family Armory and Indoor Range in Midland, Texas. I can’t say enough good things about them. Great people, and a clean, well-lit facility with a great gun shop, too. This was my stall for the day. I brought a 1963 Colt National Match 1911 .45ACP along just for fun. It is bone stock, and it has been in my family since it was new. I don’t really like the factory Eliason sights that are on it, but they are original, and I don’t want to alter a 54 year old original pistol. These two guns are quite a bit different, so I don’t intend to make direct comparisons between the two. It was fun to go back and forth between the two, though. This is Michael, one of the employees at Family Armory. He was so into this pistol that he took selfies with it, and had me Snapchat him shooting the SFX. Love at first sight for the SFX. Another employee, Tessa, is really more of a 1911 person, but she enjoyed trying out the SFX as well. The Canik produced the shot groups on the left stick-on target and on the target center X. Each group is 20 rounds (one magazine) at 10 yards. 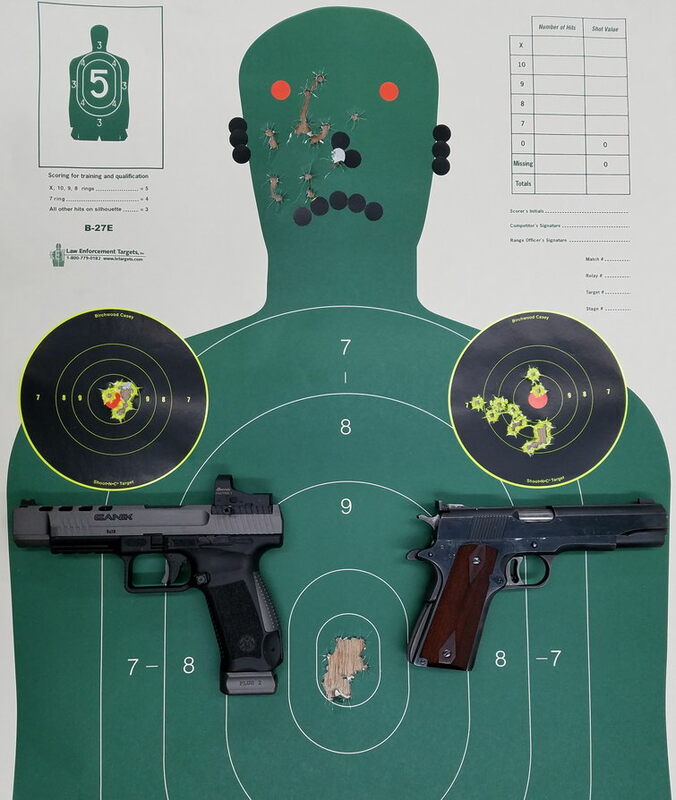 The 1911 produced the shot group on the right stick-on target (slow-fire) and on the target head (rapid-fire, about two per second), both again at 10 yards. I certainly shot better with the Canik. I love to hear the other shooter chuckle when I send Mr. Dots out onto the range. Poor Mr. Dots. 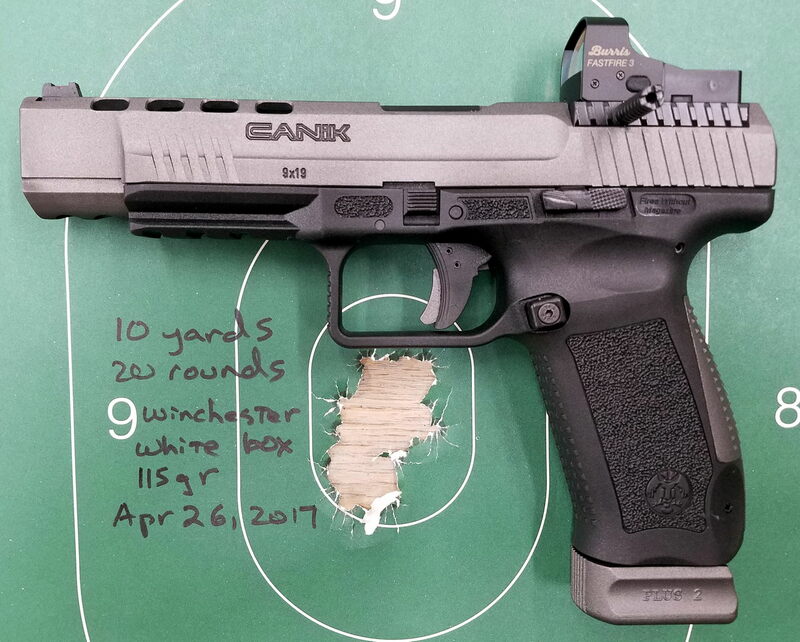 Keep in mind that this was a new pistol, shot by a casual shooter who has never owned a striker fire pistol or a pistol reflex sight before, and that the ammo used is low-cost Winchester white box 115gr. I may have spent a total of 60 seconds sighting in the red dot before shooting this group. 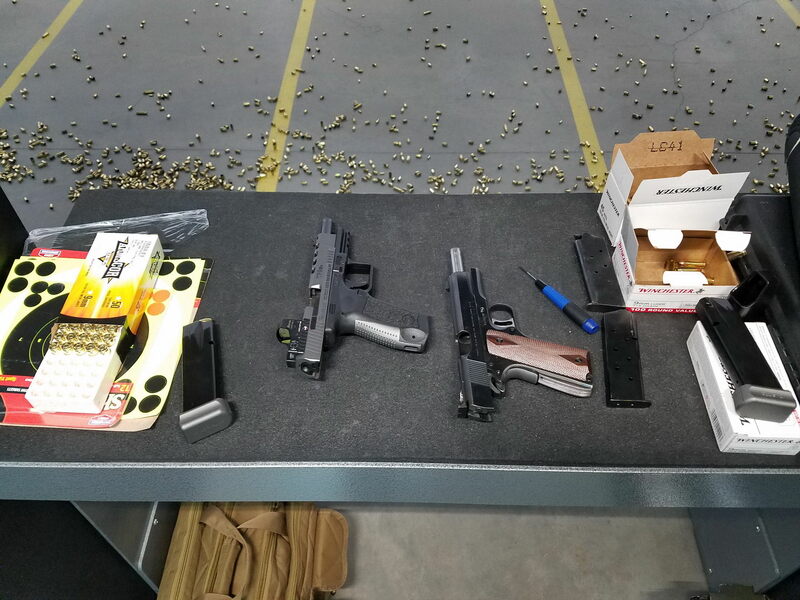 The results remind me very much of my groups firing my Smith and Wesson Model 41 (.22 lr) on a very good day, and like the 1911, that pistol has been in the family for 50 years. I think I just shot better with a brand new 9mm. While not quite as good as the shots on the stick-on target, this group is a bit more centered. I didn’t adjust the sight between the two groups. I have noticed that I need more practice shooting at different elevations. 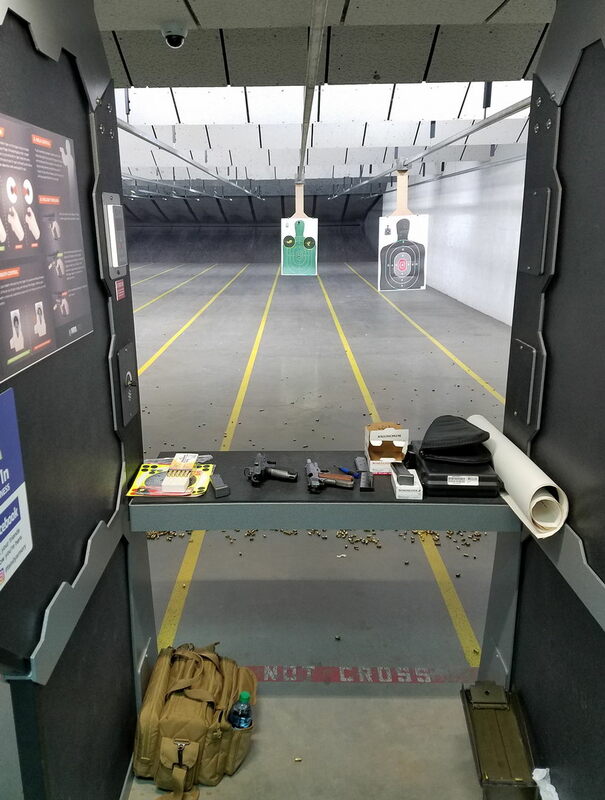 Shooting at targets that are near eye-level seems to be better for me than lower aiming points. I did notice that the slide failed to lock back on an empty magazine several times. Here, I’ve attempted to make my usual two-handed grip, and then take away my left hand to grab a picture of where my right thumb is resting. I’m fairly certain that my right thumb is interfering with the slide release. A bit more practice combined with knowing of the problem should help reduce the issue. Another “issue” is again more the shooter than the pistol. A few times, when I placed the trigger in the first trigger finger joint instead of on the pad of the finger, I would apply pressure to the trigger without having released the trigger safety. The safety was not pushed in enough by the angled end of my trigger finger. Shooting that way generally causes the shots to go left, so it was actually nice for the pistol to tell me to try again by refusing to fire. On a carry weapon, I would hate that, but on this gun it was, in some ways, a plus. Reliability score: 1911 had two FTE, one FTF. Canik had zero feed failures. For the record, I shot half of a box of 124gr NATO 9mm through the Canik with no troubles, either. 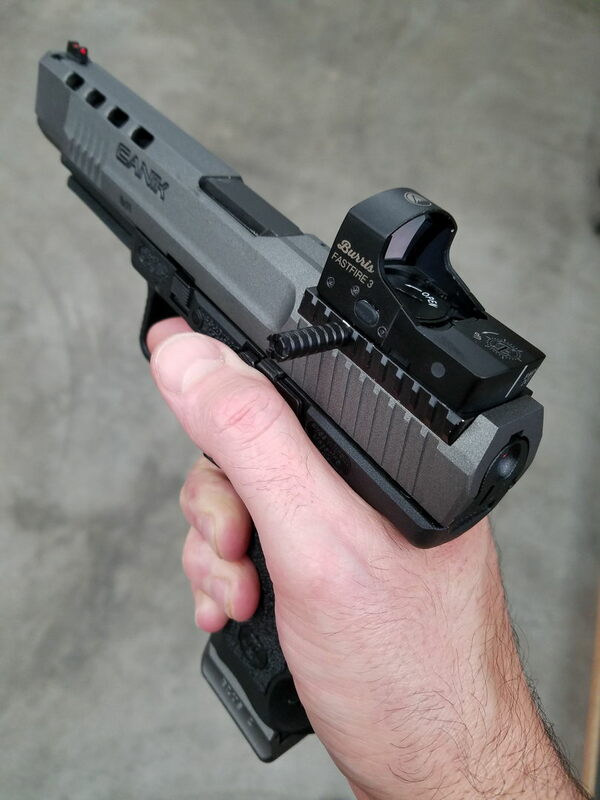 So that’s it for the first day out with the TP9SFX – what a day! 10 YARDS! I can throw rocks that accurately at 10 yards. 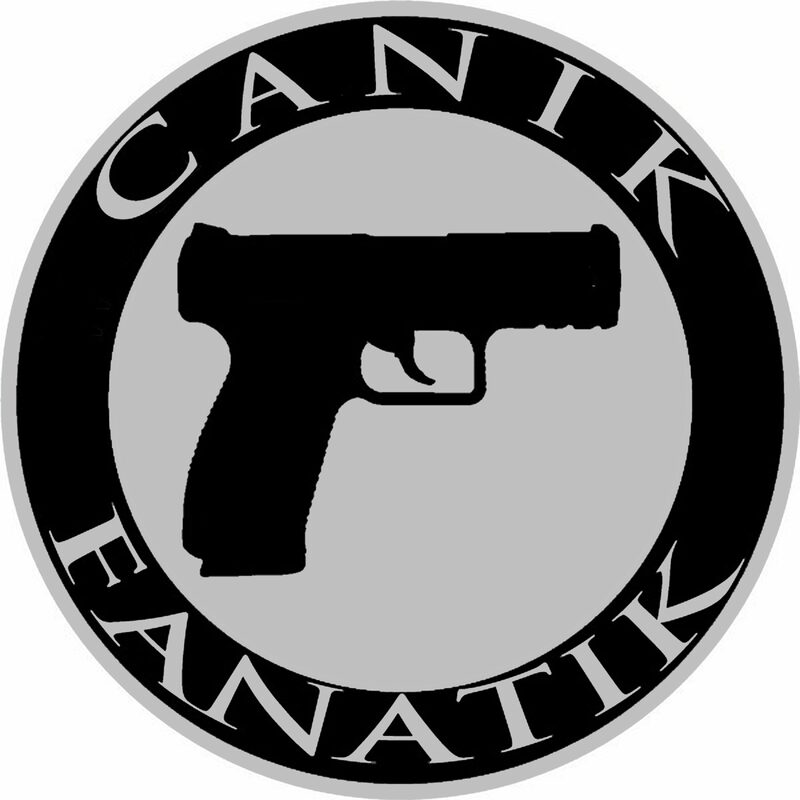 That Canik is a 25 yard to 100 yard pistol. Especially with a red dot reflex sight. We was ringing 12×12 steel plate today with my TP9sa. 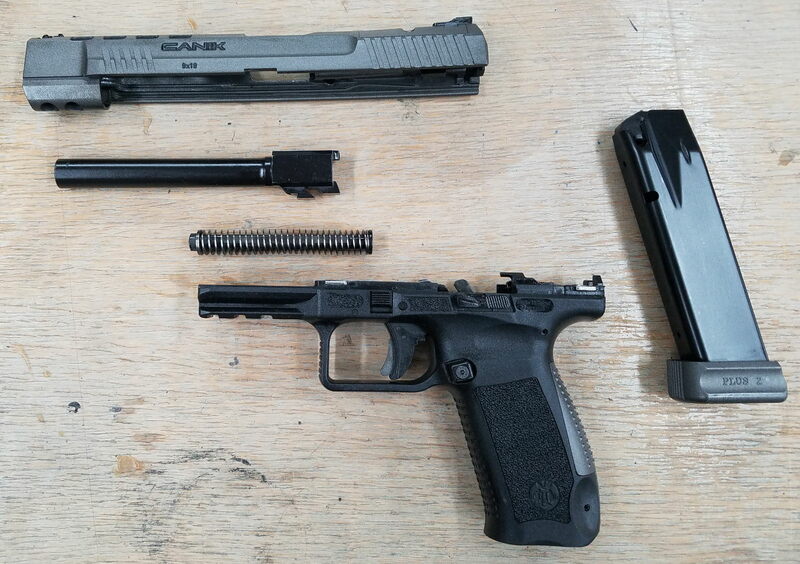 I had 3 last round slide lock back failures today testing the Canik TP9SFX, also one double feed when my friend tried out. I wasn’t really going for accuracy because it was just a quick range stop to test function because I just received it from an online retailer. I really liked the reddot, and the easy mounting. I’m not a fan of the holster that came with it, with the retention release on the inside. It’s a bit of a pain to use, having to twist and draw the pistol. I haven’t installed the charge handle yet, I might try it but I doubt I’ll leave it on permanently. It just seems like it would be getting snagged on my clothing, we’ll see.